Chris Cuomo said during an appearance on ABC's "The View" that he "screwed up" and that the tweet, which he sent Tuesday, was misinterpreted. Kamala Harris launched her campaign for the US presidential election in 2020 to take on Donald Trump. A prominent CNN host has apologised for a tweet which appeared to suggest that Kamala Harris, the first Indian-origin Senator, needs to prove that she was born in the US and is eligible to be the president. Ms Harris, 54, last week officially launched her campaign for the US presidential election in 2020 to take on President Donald Trump. "I screwed up. I wrote a tweet, while I was doing my radio show," Mr Cuomo told The View after he was slammed by the Harris campaign and her supporters for supporting such a birther controversy about the US Senator from California who was born in Oakland to parents who immigrated from India and Jamaica. The tweet drew swift criticism on Twitter, with some saying that Mr Cuomo was giving weight to the false claim that Ms Harris - who was born in Oakland - is not eligible to run for president because her parents are immigrants. Mr Cuomo said that his tweet was intended to make the point that Ms Harris should not have to defend herself against those accusations. He added that he made his point "poorly." Responding to a question, Mr Cuomo said he was simply trying to "get ahead" of the latest "birther" conspiracy after letting similar rumours about former president Barack Obama devolve to the point where he had to prove he was a citizen. It all started Tuesday with a tweet from Mr Cuomo. Mr Cuomo said he was responding to a tweet from CNN contributor Ana Navarro who slammed a far-right conspiracy theorist for falsely insisting that Ms Harris could not legally be president because her parents had lived in the US for less than five years before having her. "Kamala Harris is NOT eligible to be President. Her father arrived from Jamaica in 1961-mother from India arrived in 1960. Neither parent was a legal resident for 5 years prior to Ms Harris's birth, a requirement for naturalization," one Jacob Wohl wrote. "Here we go again with the 'birther' crap. Same drummed-up charge used against Obama to question his citizenship and legitimacy. Hmmmmm.....I wonder what Obama and Kamala Harris have in common?" Ms Navarro tweeted slamming the conspiracy theorist. Mr Cuomo weighed in. "And hopefully there will be no games where the issue keeps changing for righty accusers...and...the legit info abt Harris comes out to deal with the allegation ASAP. The longer there is no proof either way, the deeper the effect," he tweeted. Ms Harris's press secretary Ian Sams was quick to slam Mr Cuomo. "There's no 'both sides', there's no lack of proof or competing facts, there's no mystery about the 'legit info'. This is ridiculous -- just like the birther smear was a decade ago," he tweeted adding that she was born in Oakland. Mr Cuomo deleted his original tweet. "Deleted my original tweet because it was taken literally the opposite way that I intended it. Sen Harris has no duty to justify any such accusation, let alone a birtherism attack. You accuse, you prove. That was my point. Apologise for confusion," the popular CNN anchor said in his new tweet. 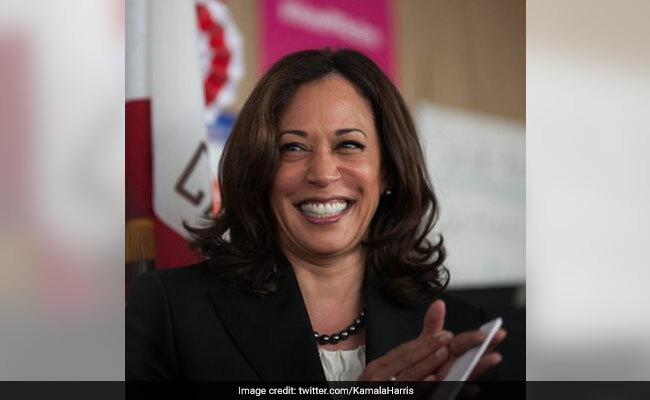 Ms Harris, who is the first Indian-origin US Senator, is the fourth Democratic woman leader to enter the presidential race.